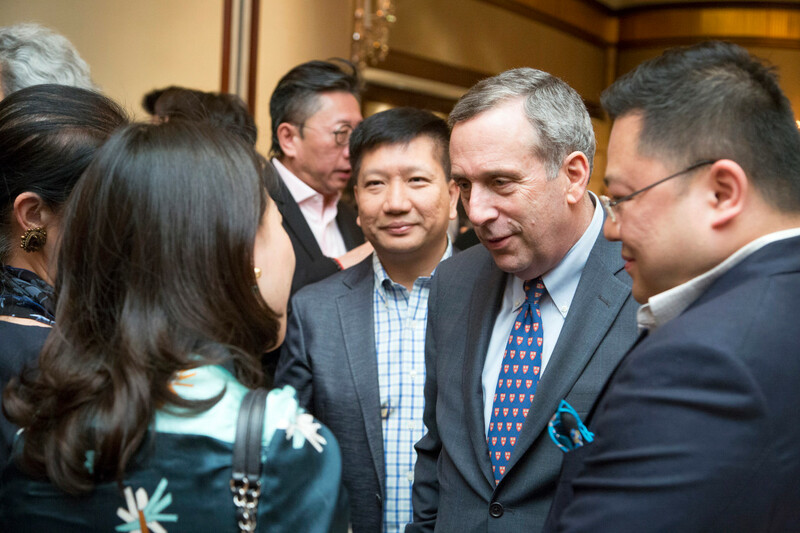 In his second international trip, University President Lawrence S. Bacow defended academic freedom and outlined his vision for Harvard’s future in China, Hong Kong, and Japan in several high-profile meetings with Harvard alumni, university leaders, and Chinese President Xi Jinping. Bacow’s week-long excursion to Asia culminated Wednesday in a highly publicized speech at Peking University, where he addressed the role of universities and their pursuit of “truth, excellence, and opportunity” in the world and praised the long-standing ties between Peking and Harvard. The speech, however, was not without controversy. Bacow offered support for the May Fourth movement, an early 20th century youth campaign against the Chinese government, and concluded his remarks with a poem from Abdurehim Ötkür, a member of the country’s Uighur population. International rights groups claim that the Uighers, a Muslim minority group living in Western China, have faced detention and surveillance at the hands of the Chinese government — allegations that the government denies. Peking University and Chinese state media did not mention those comments in articles about the event. University spokesperson Jonathan L. Swain declined to comment about their exclusion from official reports. The Peking University speech came at a tense point for United States-China relations. The two nations have imposed billions of dollars worth of tariffs on each other in recent months and have struggled to bring an end to the trade war, which has impacted financial markets, triggered political tensions, and created problems for companies around the world. Bacow alluded to these tensions in his speech, calling on scholars around the world to band together and maintain good relations with one another. Bacow also met with Xi on Wednesday, and the two discussed educational exchanges between the United States and China, according to Chinese press coverage of the event. "We will expand the opening up of education, strengthen exchanges and experiences sharing with countries around the world, and jointly promote the development of education," Xi said in an article published by the Xinhua News Agency, the official state-run press agency. A spokesperson for the Chinese government did not immediately respond to a request for comment. “It reminded our [C]hinese students that transformational thoughts and actions often take root on university [campuses] where intellectual freedom is paramount,” Cheung wrote. In an interview prior to his departure, Bacow stressed the importance of international trips and bolstering Harvard’s presence in the world. Karen L. Thornber, the director of the Harvard Asia Center, lauded Bacow’s decision to travel to Asia, calling it an “incredibly important” step to strengthening foreign relations. “It sends a strong message that Harvard is committed to forging strong ties or continuing strong ties with Asia, but also acknowledging the importance of Asia on the world stage and the importance of remaining very strongly engaged with everything that's happening in Asia,” Thornber said.